It’s not about trust, it’s about peace of mind. The truth can be liberating, and that’s why many individuals choose to use a private investigator to help with their marital problems. GPS tracking can offer a more private and hands-on alternative to a PI by putting the investigation in your hands. Avoid a detrimental accusation by confirming or disproving your assumptions with GPS tracking. Introducing covert, reliable, and feature-rich GPS tracking for your spouse or partner. Leverage 24/7 web-based tracking from any computer, and configurable text message alerts for zone exiting, and arrival at a set landmark. Use the vehicle history to run reports about frequently visited locations, start & stop times, and other useful data sets. 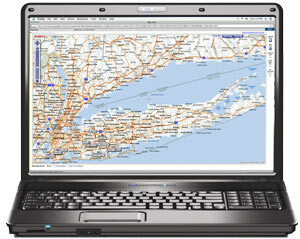 Movin’ On can travel to your home or office to install your tracking unit. Also take advantage of our shop in Franklin Square, NY and get your unit installed today. Don’t hire a private investigator without trying GPS tracking first. Validate your assumptions before you take the next step. We take your privacy extremely seriously! We handle all inquiries with the utmost sensitivity and professionalism. Fill out the form below if you wish to be contacted, and remember that our company tracks vehicles mainly for companies, parents, and individuals who are looking to secure their own vehicles. As long as you own the vehicle, we can offer you the same tracking system for any of these purposes. If you wish to contact us instead, you can call (516) 489-2350. If you would like us to disguise the subject of our email or phone call, please specify below, otherwise leave this field blank and we will contact you about GPS tracking. If you would like to include a message, use the text area below.